iwuj-chid has no other items for sale. Details about Fuel Belt hydration - Belt Only - No Bottles - Size M. Holds 4 bottles. 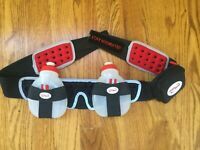 Fuel Belt hydration - Belt Only - No Bottles - Size M. Holds 4 bottles.